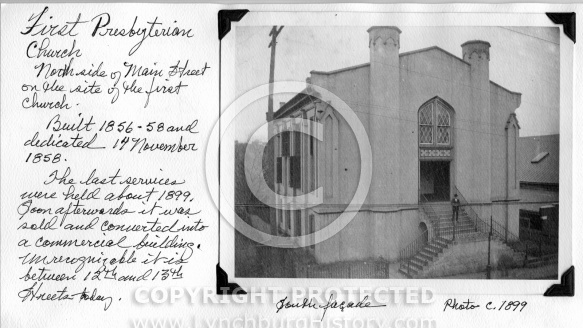 Description: First Presbyterian Church located on the North side of Main Street between 12th and 13 Streets on the site of the first church built in 1856-58 and dedicated November 14, 1858. The last service was held about 1899. Soon afterwards it was sold and converted into a commercial building. Photo 1899.